If you have hard flooring, carpet or flat surfaces in your home (which just about covers every possibility), there are three specific vacuum cleaners that deserve your attention: an upright, a cordless stick and a cordless handheld. These are the worker bees that I own, love and don't want to live without. Once you familiarize yourself with these vacuums and their specific uses, you'll know why each one gets my designation of "Best Inexpensive" in its specific category. In the decade since I met and fell in love with my first Shark upright vacuum, I've purchased, tested, given as gifts and worked nearly to death (it's really hard to wear out a Shark) many Shark vacuums because the company comes out with a new model — or two — about every week, or so it seems. I can say with confidence, there is no better basic corded, upright vacuum cleaner on earth. Now throw in the lift-away feature on some models (this allows users to pop off the lightweight canister to easily carry around and vacuum stairs), an extended wand for high reaches, high-capacity dust cup, anti-allergen HEPA filter and 30-foot electrical cord, and you've got yourself a Shark Navigator Lift-Away Professional Vacuum — a fantastic piece of housecleaning equipment. But here's the most important feature — the price. Wow! At just below $200, I'd put my Shark up against any brand, anytime, anywhere, and I'm talking about even those pricey European brands that come in at $1,500 and more. I'll be honest. There are times I just don't want to open the closet, pull out Sharkie, unwind the cord and plug it into an outlet to handle a small, yet annoying situation, such as crumbs on my dark wood floors or dirt tracked in from the garden. I'm pretty sure those minor situations would just sit there until later — until some more convenient time. This stick vac, about $100, is powered by a 28.8V Li-ion rechargeable battery. That's one of the secrets to its awesomeness. A full charge not only holds power until I need to use it (I can store it anywhere in the house, not necessarily attached to its charger), but it has a seemingly endless runtime. I'm talking 30 minutes or longer of continuous use! Deik is super lightweight, perfectly balanced, has a swivel head and — ready? — headlights! I purposely turn off the lights in the kitchen and powder room, so I can see every speck of dust and dirt Deik needs to gobble up from the dark wood floor. It's almost fun. This little sweetheart of a handheld vacuum is the best I've ever owned. That says a lot once you understand that prior to this gem, I had a Dyson handheld, an early Dustbuster, a Bissell model and a couple of other off-brand numbers. The problems were many but the biggest one? Runtime. What's the point of a cordless hand vac that only "vacs" for a few minutes? So annoying! And that Dyson Root weighed a ton. Argh! But then this Black & Decker Cordless Hand Vac with a 16-volt lithium battery came into my life. It's the battery! Lithium is just the best thing that ever happened to the world of batteries for so many reasons, but mostly that it holds a charge until used. That gives this cordless vac a fabulously long runtime and makes cleaning up little messes so easy. You can find more details plus specific resources for these three vacuums at EverydayCheapskate.com/3vacs. Mary invites questions, comments and tips at [email protected], or c/o Everyday Cheapskate, 12340 Seal Beach Blvd., Suite B-416, Seal Beach, CA 90740. This column will answer questions of general interest, but letters cannot be answered individually. Mary Hunt is the founder of www.DebtProofLiving.com, a personal finance member website and the author of "Debt-Proof Living," released in 2014. 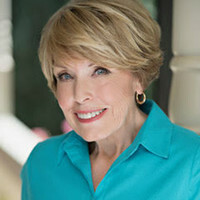 To find out more about Mary and read her past columns, please visit the Creators Syndicate webpage at www.creators.com.